Asus somehow manages to always set his products apart from competition with unusual ideas. The company has pushed ahead with a different concept that offers an exciting combination between a tablet, a phone and a laptop. 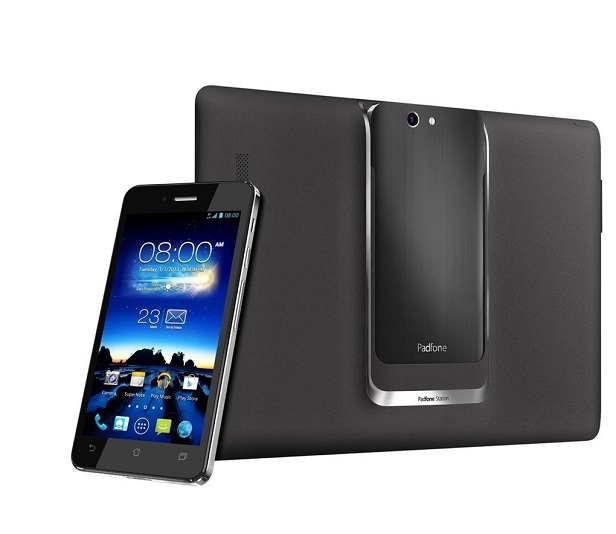 Released in June 2012, the Asus PadFone is the ideal hybrid for those who look for something ingenious and sophisticated. The PadFone has a Super AMOLED capacitive touchscreen with 16M colors and the resolution up to WXGA (1280×800 pixels). The dual-core 1.5 GHz Qualcomm Snapdragon S4 8260A processor makes the device smooth and simple to use. Asus Padfone arouses our curiosity by its long battery life – up to 360 hours. The PadFone runs Android OS, v4.0 (Ice Cream Sandwich), upgradable to 4.1 (Jelly Bean). If you own this device and you want to fix performance issues such as unresponsive applications or hangs, the most suitable way is to perform a factory reset which means bringing your device back to a fresh state. Another convenient reason for doing this is when you need to erase all personal data in case of selling the device. You should, of course, take caution when it comes to factory reset as it erases all information stored in the unit. We will now describe a few easy methods to reset the Asus PadFone. A simple method that takes only a few minutes is resetting the phone by accessing the settings but before proceeding make sure you have all your data backed up and the battery charged. Choose “Backup/Reset” that should be midway down the screen. Select the bottom option “Factory reset”. Then go to “Reset phone”. Select “Erase everything” and the PadFone is back to factory settings. Another method to do a factory reset, mostly used if the phone is unresponsive requires a key combination. This method will erase all your data. Turn the Asus PadFone device off. Keep holding the “power key ” and “volume down key ” simultaneously until you will see ASUS logo and the device will then go to recovery menu mode. Select Factory reset/wipe data with “volume down key”. 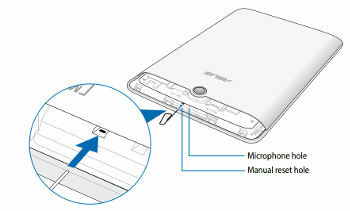 If the Asus FonePad is unresponsive you need to open the back cover, and then find the small hole near the microphone as in the following picture. Gently press with a paperclip or a similar tool inside the reset hole. Hold it down for a few seconds, then release it. Difficult to locate it even!! No wonder you had difficulties. This is _NOT_ the Padfone (original one, the Padfone A66). This is some other model. The only model with plain “Padfone” as its name is A66, others have two part names like Padfone Infinity, Padfone 2 or something else.